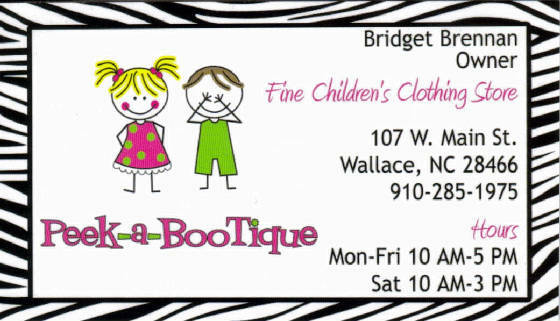 Located in the Historic Shopping Distict of Downtown Wallace, The Peek-a-BooTique carries a great selection of the finest in children's clothing. We carry holiday and Sunday best, and adorable seasonal looks for girls from newborn to size 14 and for boys from newborn to size 10. 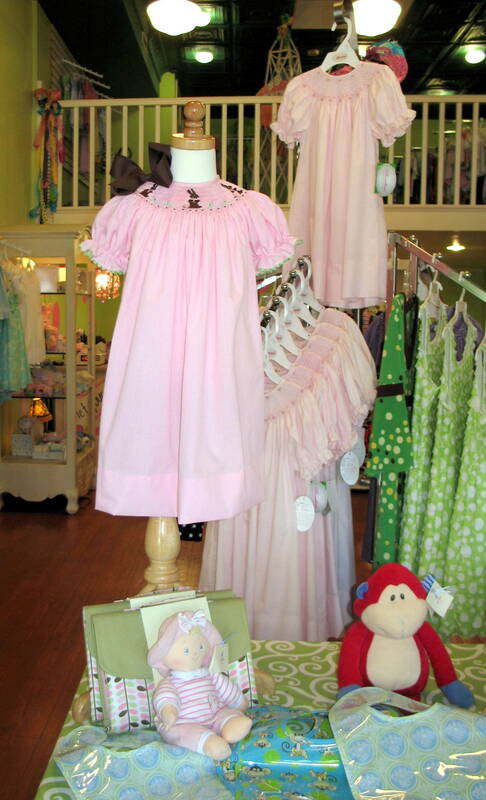 The Peek-a-BooTique is Downtown Wallace's newest store. We carry a wide selection of quality infant's and children's clothing, shoes and accessories. Find seasonal offerings and hooliday styles and gifts for the new little one in your family. We also offer a resale service for gently used clothing. Find us on facebook and become a fan. Get news on special sales and new arrivals on your news feed!